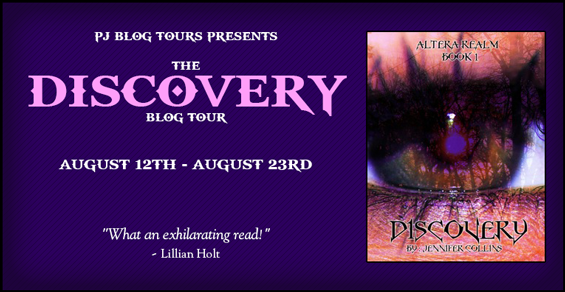 Today, I'm thrilled to be a part of the Discovery blog tour with Parajunkee Blog Tours. I've got all kinds of info about this awesome book for you! 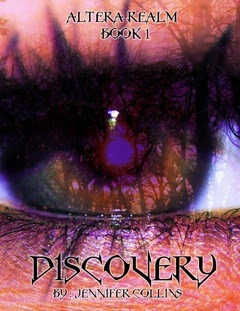 Fans of Twilight will be immediately drawn into Discovery, a gothic, young adult urban fantasy. This supernatural coming-of-age romance deals with themes of equality for all and staying true to yourself. It’s a dramatic tale of transformation, magic and forbidden love. First in the Altera Realm trilogy, Discovery follows compelling characters Syney and Hunter in a war between races as they fight for equality. The young adult supernatural genre has fast claimed the hearts of readers everywhere and Discovery will too. High school and college aged readers as well as adults will be enthralled by this fantastic journey. Each book in the Altera Realm trilogy takes place over the course of a tightly-packed year in the life of Syney Andrews and leads seamlessly into the next, culminating in a gripping climax. Meet Syney Andrews. Syney’s life is ordinary until a chance encounter with a carnival psychic informs her that she will be embarking on a great adventure surrounding her real parents. Syney hasn’t given herself the luxury of thinking about her so-called family that abandoned her. All she’s got left of them is an amulet, the only thing found on her as a baby. The amulet is more powerful than she knows. It breaks a spell that sent her over 100 years into the future in the Human Realm. The Altera Realm has been at war for well over a century. Altera is connected to the Human Realm by a portal and no human knows it exists. It is home to the five old and great races. There are the Magic Users, Lycins, Vampires, Daemons, and Shifters. Each race is an entity of their own with it’s own life purpose, rulers and guarded secrets. Syney is a new face in Altera Realm who’s about to shake everything up. She’s a human-raised, 18-year-old who is about to challenge everything about the old laws and traditions. The Realm will never be the same again. An old prophecy tells that peace can only be accomplished through the gracious Vilori Queen. What will happen when Syney Andrews is thrust into that role? After all, she’s human-raised! No one is prepared for the consequences. Things are only going to get harder for Syney, who is feeling a strong attraction to Hunter, from a banished family—and another race. Who can Syney trust, if anyone? Will she go against the law forbidding interracial marriage? Or will she fight to the death for her love, Hunter? Readers will be on the edge of their seats as they find out. 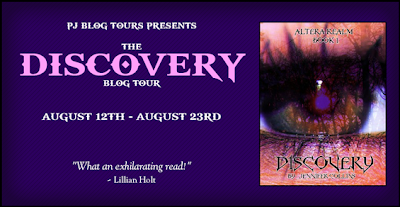 Discovery, part of the Altera Realm trilogy is Jennifer Collins’s first foray into the world of gothic young adult fantasy fiction. 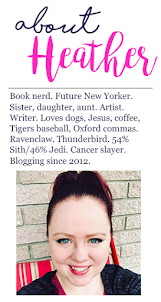 She holds a BA in English with concentration in Creative Writing from Montclair State University and completed a certification program at Kean University for teacher of English K-12 in New Jersey. She enjoys being a high school English teacher at the Plainfield Academy of Arts and Advanced Studies, a public performing arts middle school and high school in the urban inner-city school district of Plainfield, New Jersey. She currently lives in Colonia, New Jersey, with her husband, Robert, and her handsome cat, Dr. Daniel Jackson. This giveaway is for a $25 Amazon Gift Card! Thanks for the awesome tour stop, Heather! I'll be around if anyone wants to post a question or comment. Good luck on the giveaway and I hope you check out the book!!!!!!! !